The 12-inch MacBook is the thinnest and lightest portable computer within the MacBook product line. It has some similarities with the MacBook Air but it is far superior in terms of build quality and hardware specifications. Hence, the media and general public are quick to assume that this device will soon replace the MacBook Air. Portability is the main selling point of the 12-inch MacBook. However, like any other products from Apple, this device is expensive when compared against the MacBook Air. Take note that there are also Windows-based laptops that are cheaper and/or more technically superior. Nonetheless, is better to weigh the pros and cons of owning the 12-inch MacBook before heading to the nearest Apple retailer. 1. Portability from thin and lightweight metal body: One of the advantages of the 12-inch MacBook over the MacBook Air and most ultraportable Windows-based laptop is that it is very easy to carry around. It is 13.1 mm thing and weighs 2 lbs. Despite this slim profile, the device packs a 12-inch high-resolution display and decent hardware specifications suitable for average users. 2. Solid-state hardware components: There are no moving parts inside the 12-inch MacBook. The device runs a solid-state drive for its internal storage and it has no cooling fans. This translates to longer product lifespan due to lesser susceptibility to wear and tear that natural come from carrying around any portable device. 3. Decent hardware specifications: As mentioned, the device has capable hardware components that include either an Intel core m3, Intel i5, or Intel i7, as well as fast solid-state drive, and a 8GB or 16GB random access memory. These components can handle average computing tasks such as office productivity such as word processing, web browsing, and multimedia consumption. 4. High-resolution display: The 12-inch in-plane switching LCD Retina display of the 12-inch MacBook provides less strain to the eyes because of high-density pixels and close-to-accurate color reproduction. This display specification is far superior to the MacBook Air and entry-level portable Windows-based laptops. The viewing experience is generally similar to the MacBook Pro. 5. Long-battery life: Another advantage of the 12-inch MacBook is its battery capacity. The device has up to 10 hours of battery life. Average use puts the battery life around 7 to 9 hours. This is well beyond what other ultraportable computers have to offer. Hence, the device can last longer while away from nearby power sources. Of course, it is important to take proper care of the battery to prolong its lifespand. 1. Very expensive: One of the notable disadvantages of the 12-inch MacBook is the high price tag. The device is priced at USD 1,299.00 for the base model with Intel Core m3 processor, 8GB RAM, and 256GB SSD and the mid-range model is priced at USD 1,599.00 with Intel Core i5, 8GB RAM, and 512GB SSD. The price can reach as high as USD 1,949,00 for the top-tier model with Intel Core i7 and 16GB RAM. Remember that there are more powerful Windows-based laptops within this price range in the market. 2. Absence of multiple ports for connectivity: The 12-Inch MacBook only has a single USB-C port on the left side and a single headphone jack on the right. There is no SD card slot too and native support for Thunderbolt. This is another drawback. For instance, a user cannot charge the device while transferring files from an external drive or your phone. There are expansion adapters or dongles available in the market but carrying them around defeats the purpose of portability. 3. Low-resolution webcamera: The device only comes with a 480p standard definition camera for web-based video conferencing. This low resolution means that images and videos produced by the webcam can be dark and grainy under low light conditions, in addition to poor color reproduction. Details of the image or video can be fuzzy. This might not be adequate for a user who does a lot of video conferencing. 4. Not built for above-average computing: Another disadvantage of the 12-inch MacBook is that it is not designed to handle above-average to extreme usages. The device is not designed for graphic design, video editing, and high-end computer gaming. It is simply a device for every-day productivity and casual multimedia consumption. 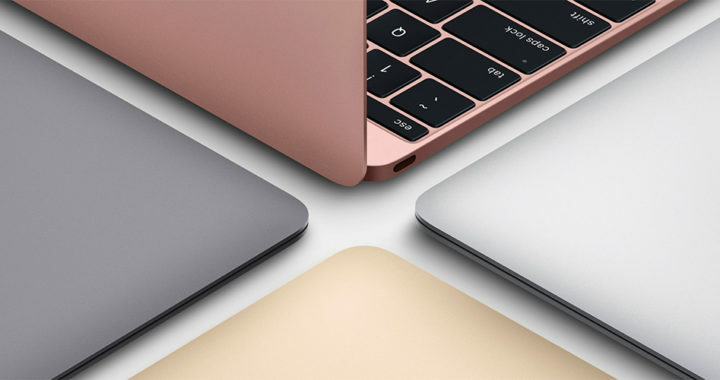 Thus, compared to similarly-priced computers in the market, the 12-inch MacBook is relatively underpowered.